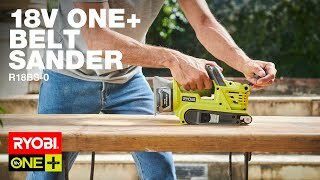 The Ryobi 18V ONE+ Belt Sander is perfect for anyone who regularly works with timber or steel. No longer will you have to run out the power cord when sanding, just plug in your ONE+ battery and you’re away. With an adjustable front handle and tool-free belt change, this belt sander is designed to be very easy to use. The dust collection bag collects sawdust and the lock-on switch mean that you don’t have to constantly be squeezing the trigger, making for comfortable sanding. 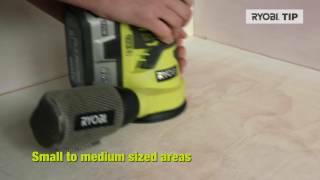 Make short work of projects around the home with the Ryobi 18V ONE+ Belt Sander. 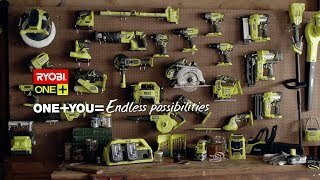 With over 50 tools in the ONE+ range you can be sure you can count on our tools and hardware. You'll find these belt sanders at Bunnings Warehouse - call or visit your nearest store to check availability.